The government has scrapped the so-called 'angel investment tax' on investors providing funding to startups. This means resident angel investors, domestic family offices or domestic funds not registered as VC funds will now not have to worry about having to pay tax on the money invested in startups. A Central Board of Direct Taxes notification, dated June 14, made the required changes to Section 56(2)(viib) of the Income-Tax Act, exempting startups raising funds from angel investors. Under existing rules, funds raised by an unlisted company through equity issuance are covered under this tax to the extent the amount raised is in excess of the fair market value. Such extra inflow was taxable as "income from other sources" under Section 56(2) of the Income-Tax Act and charged the corporate tax rate, resulting in an effective tax of over 30%. The 2012 Union Budget had introduced the angel investment tax. However, investment in every startup is not eligible for the exemption. The notification says only startups which fulfill the conditions specified by the department of industrial policy and promotion (DIPP) as per a circular dated February 17, 2016 are eligible for the angel tax exemption. 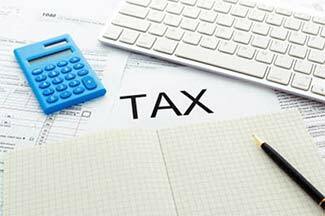 Thus, in order to get the tax benefit, a startup shall have to obtain a certificate from the inter-ministerial board of certification indicating that it is an eligible business. Sandeep Jhunjhunwala, associate director, BMR & Associates LLP, says that the move will only benefit 2-5% of the startups in the overall startup ecosystem. "Till now, not more than 70-80 startups have applied for the certificate and as per the overall trend only 1-2% of the companies that apply are likely to get the certificate as it would be difficult for companies to demonstrate innovation in their products or services, which is a primary condition for issue of the certificate," Jhunjhunwala said. Angel investor Ajeet Khurana also echoed the same concerns. According to him, the scrapping of the tax is more of a headline grabbing move rather than giving any real relief to startups. However, startups were happy that the government had finally agreed to their suggestions. "India now ceases to be the only country that taxes investments in startups. This much needed rectification will definitely help the industry grow better," said a MobiKwik spokesperson. Prime Minister Narendra Modi's ambitious Startup Action India Plan which was launched in January this year, had promised several incentives not just for startups, but for the entire ecosystem including investors. Since then, the startup community has been lobbying with the government to remove this tax, describing it as a big drawback to funding. But the 2016 Budget's silence on angel tax had left angel investors and startups disappointed. At that time, YourNest founder and CEO Sunil Goyal had told Techcircle, "The startup tax (also called angel tax) is the biggest pain for our startups. Silence on the startup tax on equity funds raised at a premium is the biggest disappointment."